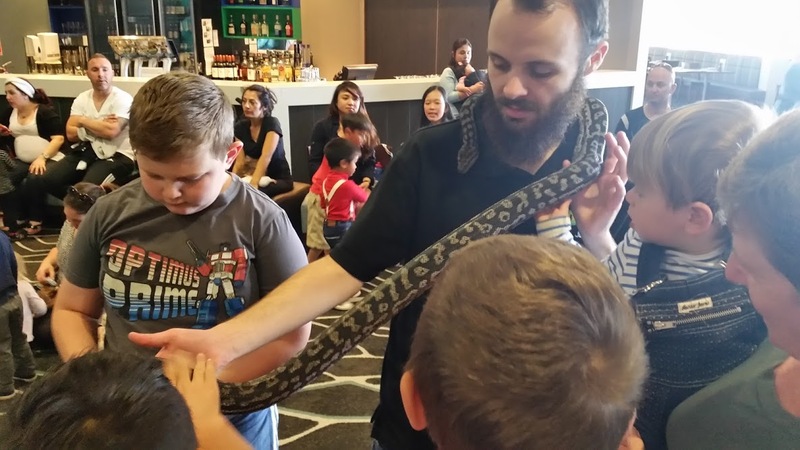 Westwaters Hotel & Entertainment Complex provided a free school holiday program in Terms 1 and 2 of the 2016 school year. One of the most popular ones was the ‘Reptile Encounters’ show. 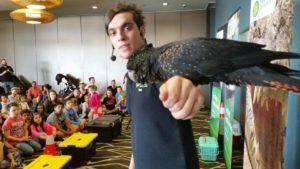 Dan and Sian visited the hotel to perform a show with their amazing animals. 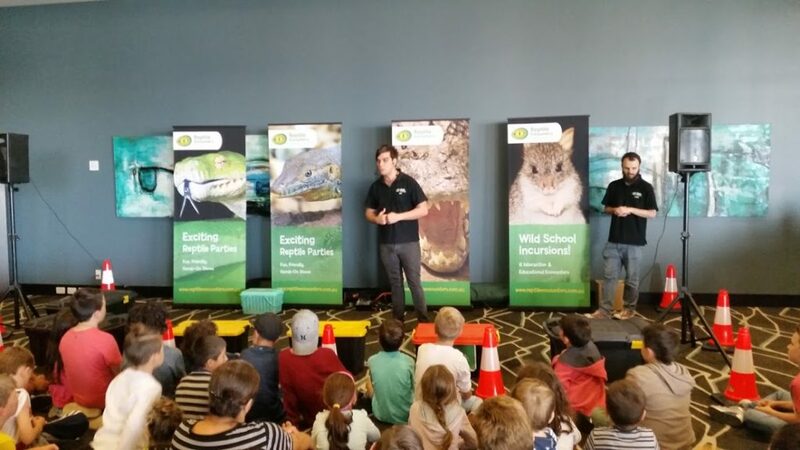 Reptile Encounters has been a regular school holiday attraction at Westwaters since 2014. 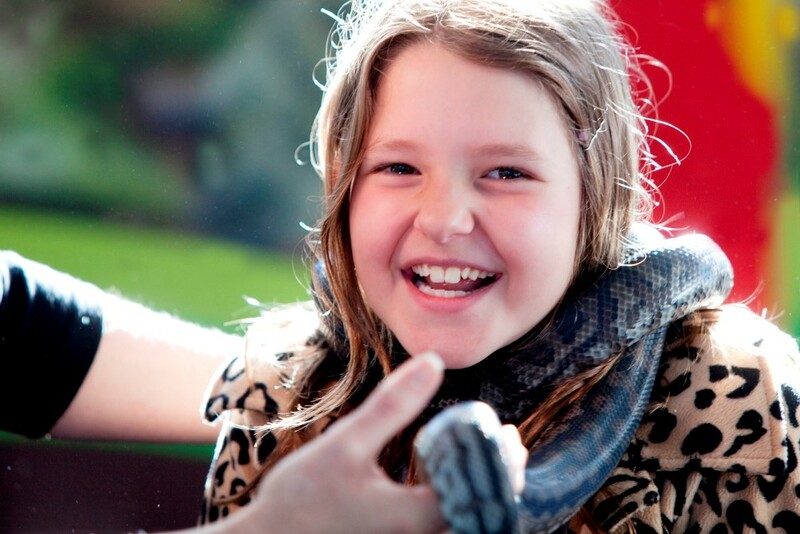 Families, kids and staff alike are delighted to meet a range of animals, some of which they may never have seen before. Unlike a visit to the zoo where you watch animals behind protective glass, those attending the program had the opportunity to get up close and personal with a variety of Australian Animals including; Harry the amazing Barn Owl, Dave the super cute Long-nosed Potoroo, creepy crawly stick insects, Kermit the Green Tree Frog and a huge array of awesome reptiles. Dan explained where the animals come from, what they like to eat and why some of them look funny! All the children had the chance to get interactive, touching and holding creatures from each animal family. Much of the discussion is based on body shapes & structure & how that helps each animal survive in its natural habitat. It is important for children to learn about animals at a young age, because it helps them to develop empathy and respect for nature. It was unsure who had the best time – the kids, the staff, or Dan. 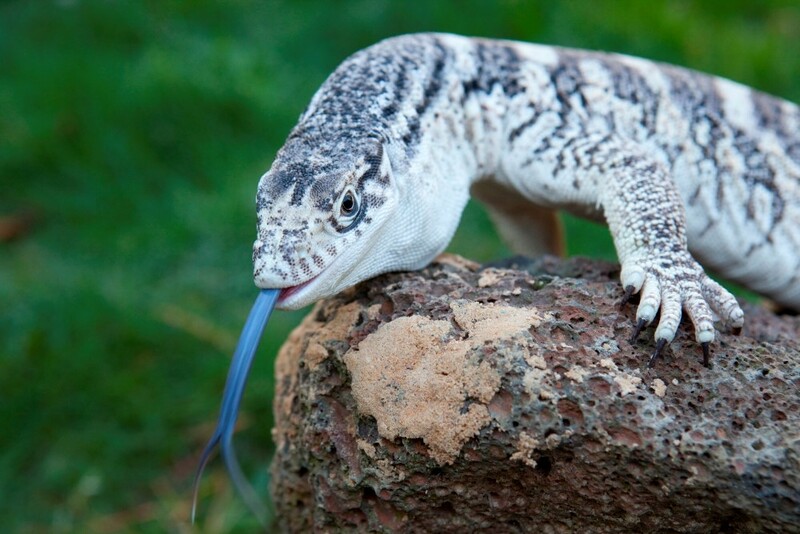 One thing that everyone is sure of is that the Reptile Encounters show was as entertaining as it was informative. 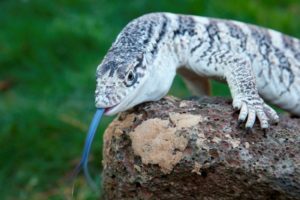 You can visit the Reptile Encounters’ website at www.reptileencounters.com.au for information on the Feathers, Fur & Scales show, or any of the other great programs they offer.